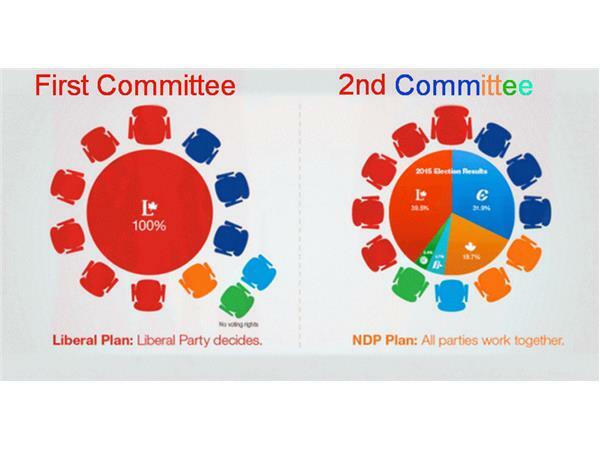 The promise of Electoral Reform. A cornerstone of the Liberal Party campaign platform. The stump speech points of "bringing Canada into the 21st century". The pledge to "make every vote count". 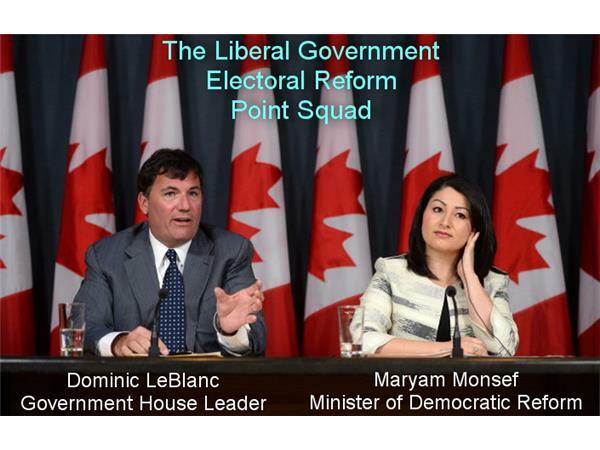 The demonstration of being serious about the way Canada will elect its Members of Parliament by creating a real Ministry of Democratic Reform & Institutions with Maryam Monsef in the lead position. It appeared much better than the sham Ministry with Skippy Polievre playing Sham-Wow Vince shilling CPC disinformation over the onerous "Fair Elections Act". Whether based on the existing, archaic Committee formula or if it was indeed a ploy to have final authority over any recommendations to Parliament, the first run on the formula to accomplish this within the House process was met with suspicion and protest from the get go. 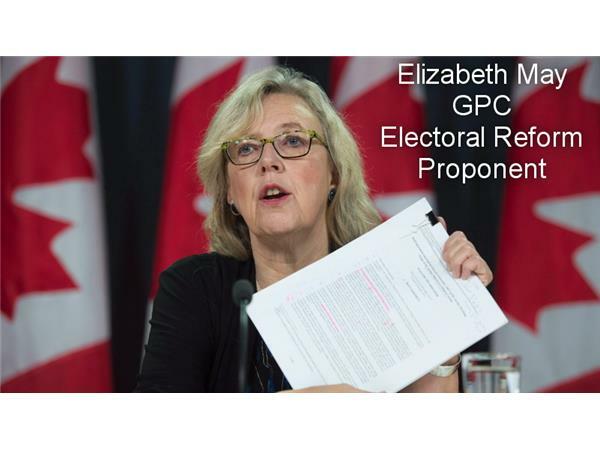 Elizabeth May stood fast and unwavering that 600,000 Green Party votes were worthy of a vote on the committee. The Bloc Quebecois garnered a similar percentage of votes nationwide and also seemed destined to be able to watch but not touch. 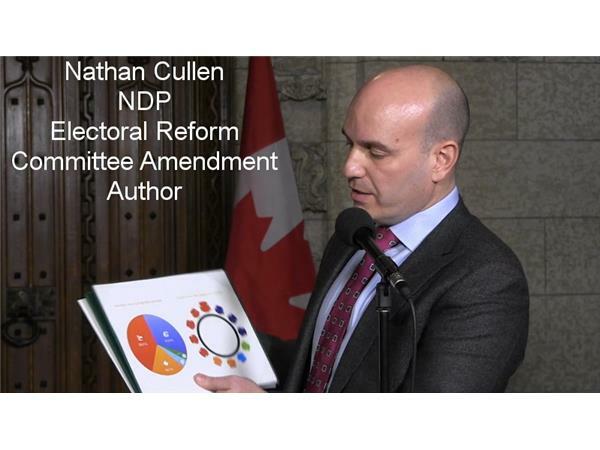 Enter Nathan Cullen and the NDP proposal to base the committee itself upon the intended results of it. Proportional representation of its members, all with a vote. The Trudeau government did something we would never have seen from the previous government. They agreed. They relented to the will of the House and public opinion. Complete with the naturallly palatable political explanation that they had no desire to operate as the Harper government had. Score. Public consultations. Committee hearings. The vague "stakeholders". Constitutionality. Unfounded cries for a referendum. We're just getting started here, it's going to be a bumpy ride. 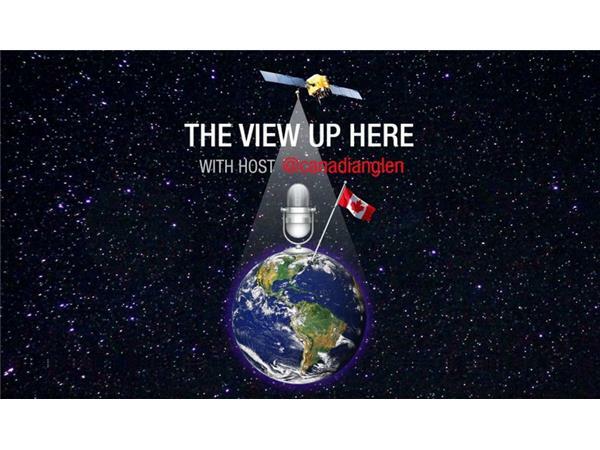 Tune in, join the chat room, call and give your opinion. Because "every vote counts"